ARTE FIERA BOLOGNA. 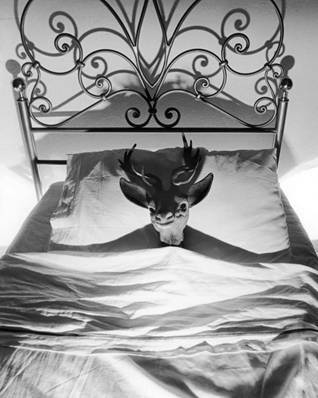 From January 27 to 30, 2012 the 36th edition of Bologna Art First. Since 1974 the Arte Fiera has been presenting arists, such us Ben Brown, Gavin Turk, Miguel Barcelò, Lucio Fontana, Andy Wharol, Kounellis, Calzolari, Pistoletto, Anish Kapoor and many others. This year, The curatorial project On the Spot challenges several premises, investigating whether an exhibition containing works on display at an art fair can be conceptualized, selected, exhibited and inaugurated in only one day; and whether concepts like ‘spectator participation’ and ‘live experience’ can be put into practice at an art fair. 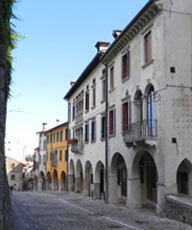 The one-day projects will be exhibited at the curator’s place in hall 22 booth B2 at ArteFiera between the 27 and 29 January 2012. 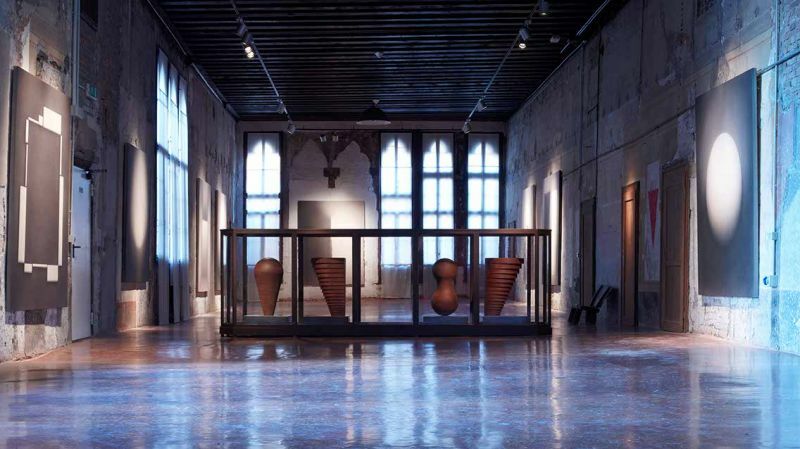 Artists, critics, museum directors, curators and players on the Italian and international art scene will animate a series of meetings, events and presentations of publications and projects. Thanks to the collaboration of gallery and publisher exhibitors at Arte Fiera Art First, the Art Café is a unique opportunity to meet a range of people from the art world. ‘Heritage Under Pressure – Perspectives of HUL’. The exhibition “Roma al tempo di Caravaggio 1600-1630” (Rome In The Times of Caravaggio 1600-1630) is running in Rome, Palazzo Venezia, until 5th February 2012. Michelangelo Merisi from Caravaggio (a small town in Lombardy) was in Rome from about 1595 to about 1695 and spent his first years working in the studio of Cavalier d’Arpino as a painter of still life. The exhibition examines what many have described as a crucial period in Italian painting, starting as the sixteenth century drew to a close and Rome was still reeling from the trauma inflicted by the Lutheran schism, and developing, with ever-increasing vigour, through the reigns of four important Popes: Clemente VIII Aldobrandini, Paolo V Borghese, Gregorio XV Ludovisi, Urbano VIII Barberini. 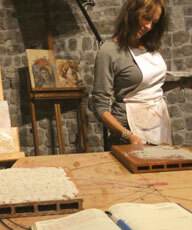 MOSAIKON is a five-year regional programme for the conservation of mosaics in the southern and eastern Mediterranean. The programme is a partnership of four institutions: the Getty Conservation Institute (GCI), the Getty Foundation, ICCROM, and the International Committee for the Conservation of Mosaics (ICCM). The aim of the program is to improve capacity in the region for the better conservation, maintenance, and presentation of mosaics. 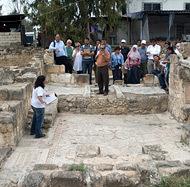 The program addresses both in situ mosaics as well as lifted mosaics in museums and archaeological storage. MOSAIKON will strengthen the network of professionals and promote the dissemination of information on this subject. 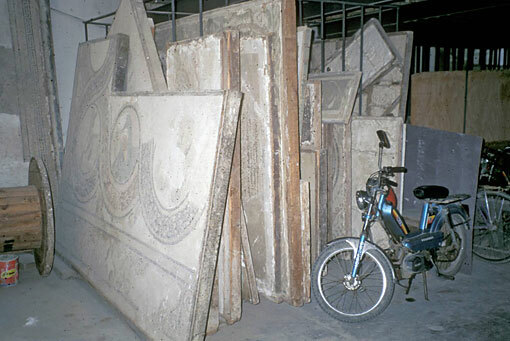 It will provide training to a variety of actors involved in the conservation, maintenance, and restoration of mosaics, and the management of archaeological sites and museums with mosaics. In parallel, it will also work with national and international bodies to provide a more favorable legislative, regulatory, and economic environment for the conservation of mosaics in the Mediterranean. The Getty Conservation Institute (GCI), the Getty Foundation, ICCROM, and the International Committee for the Conservation of Mosaics (ICCM) are pleased to offer you the MOSAIKON e-Bulletin, a new e-newsletter published twice a year by the partners of MOSAIKON to keep conservation professionals and interested individuals up to date with MOSAIKON programs and activities. View MOSAIKON e-Bulletin in Arabic. In 2012, partners will define orientations of follow-up activities. The Romualdo del Bianco Foudation® is a non-profit Florentine institution endorsing an array of cultural events in order to encourage mutual exchanges of knowledge among young students, academicians and professionals from different countries with an extensive network of universities, libraries, museums, embassies, consulates, as well as public and private cultural institutions and organizations worldwide. “For peace in the world, among young people of different countries, through culture. Meeting, getting acquainted, understanding each other to develop friendship among peoples” . Diego Rivera was the subject of MoMA’s second monographic exhibition (the first was Henri Matisse), which set new attendance records in its five-week run from December 22, 1931, to January 27, 1932. MoMA brought Rivera to New York six weeks before the exhibition’s opening and gave him studio space within the Museum, a strategy intended to solve the problem of how to present the work of this famous muralist when murals were by definition made and fixed on site. 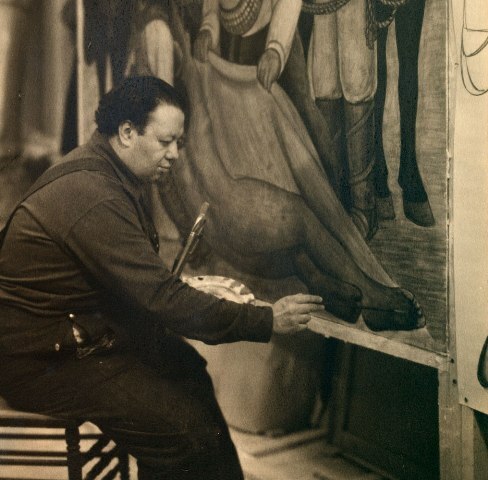 Working around the clock with two assistants, Rivera produced five “portable murals” -large blocks of frescoed plaster, slaked lime, and wood that feature bold images drawn from Mexican subject matter and address themes of revolution and class inequity. After the opening, to great publicity, Rivera made three more murals, taking on contemporary New York subjects through monumental images of the city during the Great Depression. The story of this extraordinary commission elucidates Rivera’s pivotal role in shaping debates about the social and political value of public art during a period of economic crisis. This exhibition (MOMA, The Museum of Modern Art November 13, 2011–May 14, 2012) will bring together key works made for Rivera’s 1931 exhibition, presenting them at MoMA for the first time in nearly 80 years. 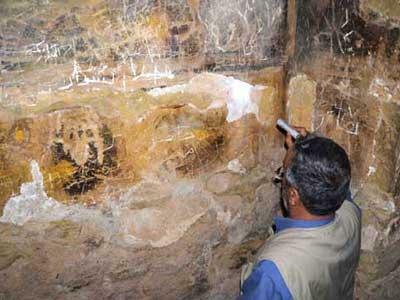 The second season of conservation work at Qusayr ‘Amra Jordan wrapped up on November 30. 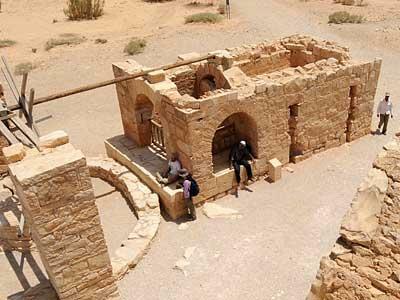 The site, on the UNESCO World Heritage list, dates to the early eighth century and was a lodge and bath complex for an Umayyad caliph. The unique early Islamic murals on the interior are among the most important surviving from that period. This season saw the conservation of the exterior-including the repointing and consolidation of walls damaged by floods in 1994 and the dome and barrel vaults of the caldarium-as well as work to clean and stabilize the murals, many of which have been obscured for decades. If you decide to get lost in Argentina, I would suggest you to visit the province of San Salvador de Jujuy in northern Argentina, not far from Chile and Bolivia. 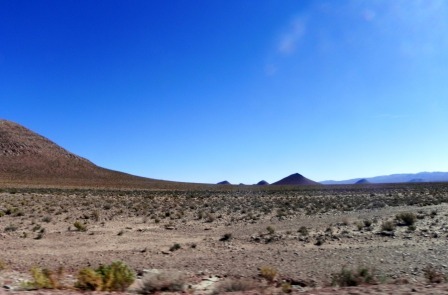 Follow the road to the Paso de Jama which descends into the Atacama Desert in Chile, up and up, you will find yourself over 4000 meter. After crossing the “never ending” crust salt of the Salinas Grandes, you will arrive at Susques (4150 m), the border crossing to Chile. Ortolan Studio is pleased to announce the upcoming workshop on Historic Lime Mortars. The workshop concentrates on the materials and the technique of historic lime mortars. It offers full-day activities which include series of lectures followed by demonstrations and hands-on. 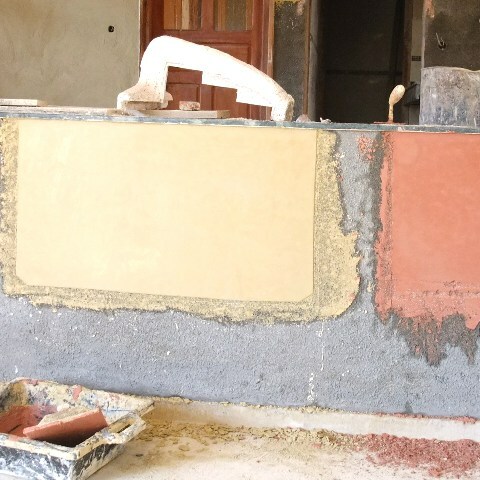 You’ll have the opportunity to learn how to make an old lime mortar and how to repair lime finishes in ancient buildings. 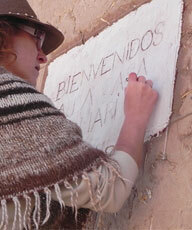 In addition to that, instructions about decorative finishes including “sgraffito”, tadelakt and patinas are provided.